If you live in a small apartment, you may find your counter space has very limited real estate. So much so that you only have room for a toaster or a microwave, but absolutely not both on the counter at the same time. Ah, the glory of modern living. A new smart oven promises to change all that. 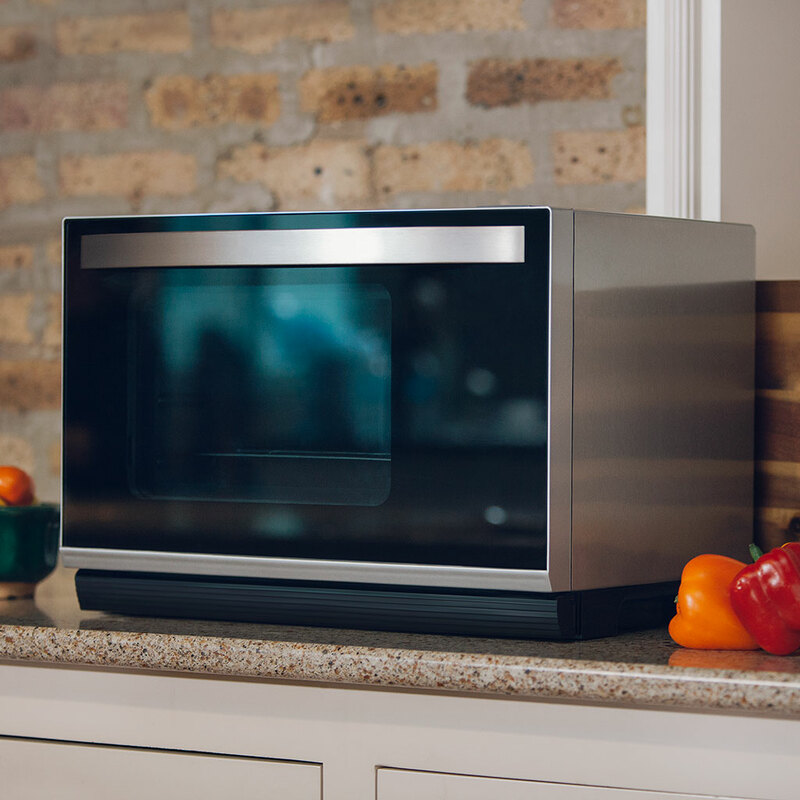 Tovala is a countertop machine that is a broiler, steamer, oven, microwave, and toaster all in one. Even better, it claims to be able to bake, boil and steam meals at up to 550ºF in 10 to 30 minutes. The Tovala is being compared to the Keurig in that it works as a food delivery plan. To cook your meal you scan your meal’s barcode and place it in the smart oven. You can also use the oven to make your own home-cooked meals, and all meals can be cooked via a mobile app as well. Tovala sales will start at $199 for early Kickstarter supporters and eventually cost $329 retail.